On December 3, 1999 six members of the Worcester (Massachusetts) Fire Department perished while fighting a blaze at the Worcester Cold Storage and Warehouse Co building. On that day twenty-seven firefighters went into the Cold Storage and Warehouse Company building trying to locate two homeless people believed to be living there. The blaze was intense and difficult to get under control. Eventually twenty-five of the twenty-seven exited the building but two had become separated and were believed to be trapped inside, according to Boston.com. A four-man search team re-entered the building and used thermal-imaging cameras to try and rescue their trapped brothers. All six perished that day. The following day, Steve Williams of Fulton County (Georgia) Fire Station 7, was working the A shift and heard about the Worcester Six. He decided that he was going to figure out some way to help firefighters get out in similar scenarios. “As a Firefighter/Medic on an ALS engine in South Atlanta, I knew what accountability problems we had and that AWOGS could address some of them. 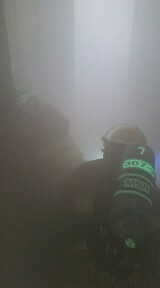 The material itself glows from heat and/or light, and had the ability to be seen through thick smoke. 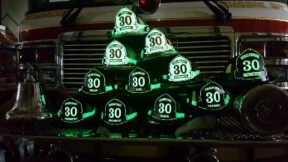 I would then custom make the material in any shape or design to identify the firefighter with numbers, names, or rank on helmets, SCBA’s and helmet shields”, said Williams. Today, more than 400 Fire Departments use AWOGS, including Atlanta, Virginia Beach, Fairfax, Alexandria, Richmond, Norfolk, Albuquerque, Bakersfield, Killeen, Cobb County (GA), and almost every city and county department in the metro Atlanta area. To learn more about AWOGS, visit their website, Facebook Page, or reach Steve Williams directly at steve@awogs.com or 678-525-6828. 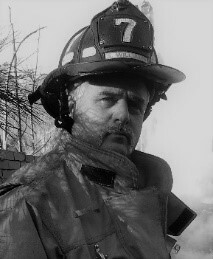 Steve Williams started his career in 1989 as a Volunteer Firefighter in Yatesville, Georgia. In 1991, he moved to the North Side of Atlanta where he took an EMT job at Metro Ambulance. In 1996 he earned his Paramedic license and began working at the Fulton County Fire Department, where he works to this day.